This is old version Rolling Sky 1.2.2 apk for Android, you can install it if you want to downgrade or install old app. It is top Casual apps from Clean Master Games. It could be a great reference of a cool game to let you train your reflex in the right way. Playing this game is also carried up with fun music and pleasant themes as well. So, whenever you get bored, just wear up your headset and play this fantastic game through your smartphone and then, the boring will go away, immediately. By the way, if you are using any devices that powered by Android such as any certain smartphone or tablets, you could download this game at Google Play, simply. The update version for this game is V5.1.9.1 which already available on 13th June 2016. When you get this game application updated, you are able to enjoy the better enhancement graphic as well, without being worried to make you phone running slow. 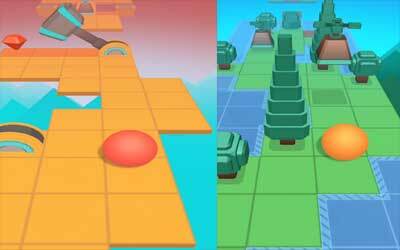 More and more people are playing this awesome game day by day, so why don’t you try to play the challenging Rolling Sky for android now, then? A challenge to test your ultimate speed and fast reflexes! Optimized the lag problems in some devices.